Week 4 just ended and I’m headed into my second month with Medifast Go! Thanks to this extremely easy-to-follow weight-loss program, I’ve already lost a whopping 12-lbs! But most importantly, I’m starting to feel much better in my clothes and I’m becoming more confident as the days go by. I will admit, I was hesitant that I wouldn’t be able to stay on track this long. I think what’s detoured me in the past was that I didn’t know how to properly make the meals that I needed to help with weight-loss. This is why I was so excited to try Medifast Go! because the meals are already put together for me. All I have to do is choose 5 Meals and 1 Lean and Green Meal from my stock daily. I also get to choose a daily Snack of my choice. I don’t have to worry about getting groceries, planning out my meals, and wondering if I’m eating the right balanced portions or not. If I’m wanting a hot breakfast, I like to make the CHOCOLATE CHIP PANCAKES. They are really divine with a sugar-free low-calorie syrup like one from Smucker’s. Best of all… I can get my chocolate fix first thing in the morning! If I want something super quick while getting ready in the mornings, I’ll grab a STRAWBERRY CRUNCH BAR. The Crunch Bars are one of my favorites from Medifast. The Strawberry one is perfect for mornings as it’s not overly sweet like a dessert. The strawberries have a fruity sweetness to it and mixed with a delicious yogurt and a bit of crunchiness is oh so yummy! I like to get a little pick-me-up with a Ready-To-Drink Shake. Coffee drinkers may go for the MOCHA SHAKE but the FRENCH VANILLA SHAKE is more my speed. It reminds me of slightly melted homemade ice cream from when I was younger. If I need a chocolate fix, the Dutch Chocolate shake is my option. The BEEF STEW has been one of my favorites lately since the cooler weather has arrived. 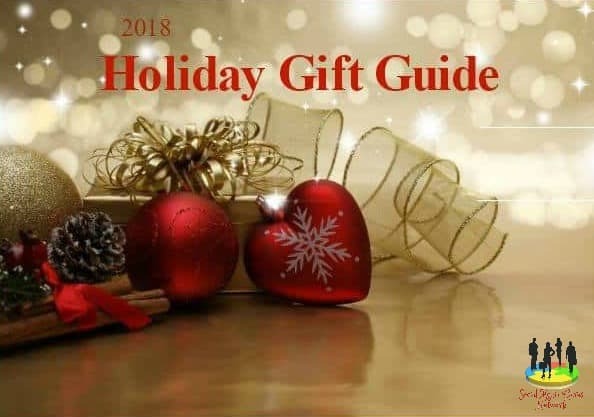 I love to curl up by the fireplace and watch a good tv show while eating my favorite Lean and Green Meal from the Flavors of Home selections. This hearty Beef Stew has all the fixings you need with chunky potatoes, carrots, celery, mushrooms, peas, and chunks of tender beef. My day’s not complete without my daily sweets. 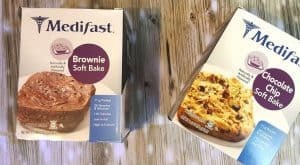 With many to choose from, the CHOCOLATE CHIP SOFT BAKE and BROWNIE SOFT BAKE are my absolute favorite desserts from the selection. I add a little extra water to the mix to make it more like a cake or add a little less to make it a bit crispy. It’s the perfect treat after a long day. MACARONI AND CHEESE has always been my comfort food. I’m so excited that I don’t have to give this up with Medifast. I love to eat the mac-and-cheese anytime of the day! There’s nothing better to help wind down before bed than a bowl of cereal. The MIXED BERRY CEREAL CRUNCH with a little Almond Milk is absolutely scrumptious before bedtime. My day is not complete without the APPLE CINNAMON CRISPS or the PARMESAN & OLIVE OIL CRISPS. I’m literally addicted to these snacks! These crunchy crisps are a great alternative to chips. I have these at any point of the day when I have a little craving to eat between meals. Here’s my only downfall… sodas! Before starting the program, I was drinking at least two Rt-44 fountain Dr Pepper’s a day. Dr Pepper has been my little devil of choice ever since I can remember. I was able to stop drinking sodas several years ago and then I picked up the bad habit again a few years back. So I’m facing the struggle again but the Medifast Flavor Infusions have helped me tremendously. When I need energy, I add the CALORIE BURN MIXED BERRY FLAVOR INFUSER to my water. One a day really keeps me going! Anytime I don’t need the extra energy, I add the ANTIOXIDANTS RASPBERRY ACAI FLAVOR INFUSER to my water. The program allows for up to 5 Flavor Infusions a day. This not only helps me to keep my mind off the sodas most of the time but it also allows me to make sure I get the appropriate daily intake of water. I’m currently having 2 cans of Dr Pepper Ten a day so that’s a great improvement. I’m hoping to stop completely but I have to gradually do it for now. I have heard a lot of great things about this program. I have actually been wanting to try it out. Congrats on your weight loss and your daily meal plan looks amazing! I love how Medifast supplies you with all the tools to succeed, including the yummy meals. Congrats on losing weight. This all looks tasty. Sometimes you just never know with food like this, but it looks like I’d enjoy it all. This sounds like a wonderful solution for meals. I love that it has been successful for you. I would love to check it out for myself. This would be a convenient meal solution for so many. Congratulations on your weight loss so far. With so many plans, it’s tough to weed through them all but once you find that plan that works for you it’s a wonderful feeling to see that scale move. Keep it up!!! Always nice to know you have found a product that works for you. I have tried these but good to know they work and help. Whoa 12 pounds is a big deal way to go girl! And starting the day with chocolate pancakes? Awesome. 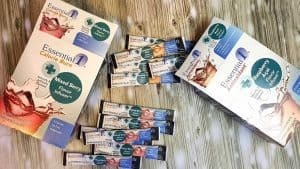 I’ve heard awesome things about Medifast! They are a great brand. This sounds really good – your daily meal plan looks great! Congrats on your success so far! Congrats on results! It’s great when we find something that works for us and makes us feel good! Thank you very much Cassie! people might think that they need this if they eat poorly and need to lose weight, but I am a healthy eater and I just need some help with controlling my portion! This looks like a good solution. That’s me too! Eating healthy is the easy part. Controlling how much of it you eat is the hard part. That’s why I love these individual snacks and portion controlled meals. I would love to try Medifast Go. The food looks good and it would be easy to follow the plan. Congrats on your weight loss. Thank you Claudia! It’s truly been a great plan for me and it’s been very easy to stick to because of the tasty snack and meals. Congratulations on your weight loss and weight loss journey. The meals actually look good. I may look into this before giving it a try. Thanks for sharing this. Thanks Anita! The plan is really awesome and the snacks are delicious. 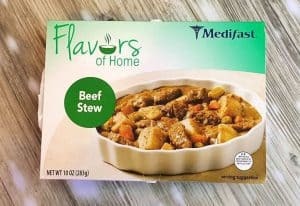 Your Medifast meals actually sound good! I like the options you’re given too. I think this sounds like it would be easy to stick with. I’m surprised but it has been very simple for me to stay on the plan. Good snacks and meals really help! I haven’t heard of these meals before. But they sound like a great option to have when you are on a diet. Congrats on all your progress, that’s great! Thank you! Yes, the food is all planned out for me and I’m loving it. I no longer have to worry about calorie counting. Losing weight is HARD but it sounds like you are doing AMAZING at it!! Keep up the hard work!! Thank you very much Ricci! Honestly these all sound amazing! 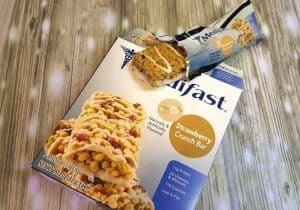 I’ve never heard of Medifast before but I like that all your meals are covered. It’s really a must try. That’s one of the best parts. I don’t have to worry about cooking! These meals and snacks look great. I’m not as familiar with these as other programs but sounds so good. Most of the food is really good! I’m pleasantly surprised. I’m addicted to the Crisps and Popcorn already. They have some delicious options! I will definitely have to look into this! This sounds like such a great program! I am glad is working for you!! Congrats on the weight loss. This program seems to have some healthy options. I’ve never tried a meal program before but I have heard good things about this one! Congratulations on the loss and it’s great that it’s working for you! 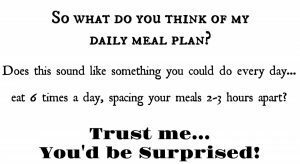 I was reading about these Medifast meals and it got me thinking, is this really diet food? I have to let my daughter know about this. 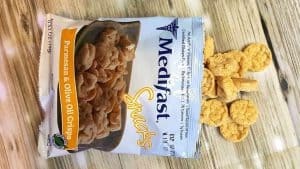 Medifast looks like it will curb your hunger and help avoid binge eating! Each low-glycemic meal is low in calories and fat. Medifast meals are formulated to make you feel satisfied and not deprived which I love! You learn portion control and how often you need to eat in order to keep your metabolism running. I really need to remember portion control! LOL! It is great that Medifast really helps you understand this! Congrats to you and your look great! The meal plan really looks healthy and low on calories. I had done a similar one but with a different brand sometime back and it was indeed effective. Looks like you have found a product and system which is producing great results. Having options is definitely key. congrats on your success with this daily meal plan! it looks awesome! Whoa!! Congratulations on your weight loss journey. and this medifast looks so interesting and perfect for those who wants a healthy diet. I will definitely recommend this with my friend. I’ve never tried Medifast before, I’d wondered what I’d think of the taste. Congratulations on losing the 12 pounds. Keep up the good work! I love meal planning. I haven’t heard of MEDIFAST. Sounds like I need to try it out. Medifast Go sounds like a great weight-loss program. I will definitely be looking out for it. It’s wonderful that you’ve found something that works for you. I love that there’s SO many options and so much eating lol!! I hate programs that have you replace entire meals with shakes and so on. It’s never good to be hungry all the time! 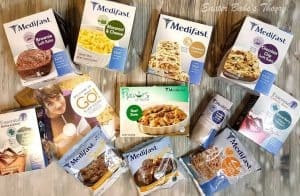 I’ve never tried Medifast – the food looks pretty darn good!